A little over two weeks ago, Netflix pulled a great stunt by announcing and releasing Cloverfield Paradox at the same day. Pretty much everyone praised this move, but the fun was quickly over as many viewers found out the movies was a piece of sh*t. At least that was their opinion, but after watching it myself, I think this motion picture deserves a lot more love. Spoiler alert of course! Let’s be honest. After watching the movie, it somehow leaves you with an empty feeling. I enjoyed Cloverfield Paradox a lot, but that was mostly because its production values and actors were pretty good. The story however is not. At least, not in the final shape we all have seen. 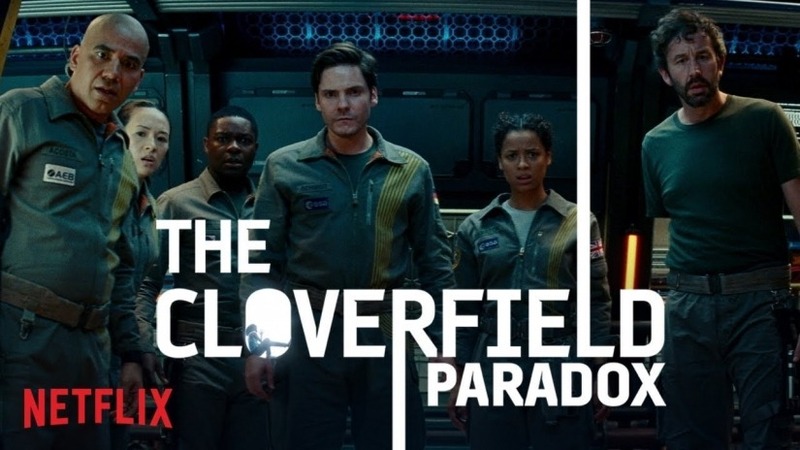 Cloverfield Paradox tries to mix a couple of good ideas into a great story and fails miserably at it. Paradox is a movie with an identity crisis. Sometimes it even seems that this movie was made by multiple seperate teams and directors and it doesn’t turn out well. That said, the story about solving earth’s power crisis and changing dimensions while doing it is pretty awesome. A neat idea that fits in with the rise in popularity the sci-fi genre goes through nowadays. I think the idea that a space crew arrives in a different dimension of their own world is one of the smartest ideas I’ve seen in recent science fiction movies. This is clearly an idea that’s interesting enough to carry to whole movie, but apparently this wasn’t enough. Apparently one of the film’s biggest mistake is that it tries to combine genres and tries to be the next Alien movie or something. The horror parts just don’t make any sense and deserve no place in the story whatsoever. Why does one of the guys lose his arm because it gets eaten by the ship? Why did the worms disappear to surface a few minutes later in the stomach of that Russian guy? And what’s up with that chick in the wall of the ship? All of these side stories just don’t fit the overall story of the movie, but it gets even more ridiculous. The ending of the movie reminds us that the last two hours on screen were actually part of the Cloverfield universe. But which one exactly? Is it an alternate universe we are talking about? The monster that shows up at the end is way bigger than the one we saw in the first movie, so could this mean that there are more giants roaming the earth? And the scenes that play out on earth don’t show a clear alien invasion by any means, so does this mean this movie takes place during a completely different alien invasion? This is probably the main problem of the movie. The fact that you don’t know what’s going on and how it fits within the established franchise. The film puts up more questions than the ones it answers and that’s certainly not a good thing. So in the end you might say that Cloverfield Paradox isn’t a good movie. But it isn’t a bad one as well. It’s pretty enjoyable if you just enjoy the ride and don’t worry a lot about the continuity of the story and the franchise it’s said to be part of. The production values and the acting is of a pretty high level, so there is something beautiful hidden in here. You only need to dig way to deep to uncover it. This makes Cloverfield Paradox definitely the franchise’s odd man out, but still a rather enjoyable one. So please people of the interwebs, give this one a little more love.